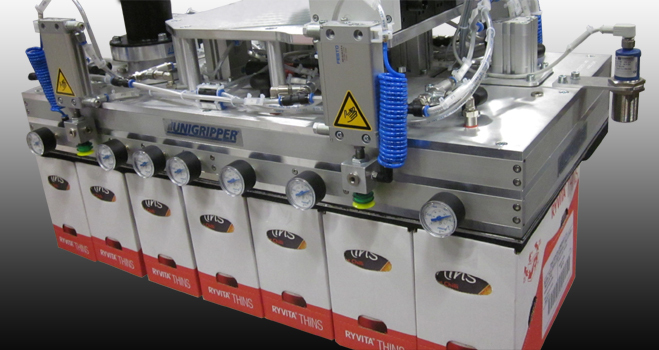 The UniGripper ZoneGripper is ideal for palletizing using pick-and-place operations. The ZoneGripper is divided into zones where vacuum can be enabled and disabled independently in each zone. 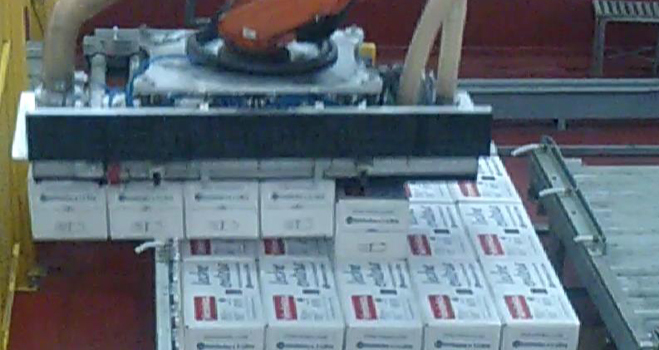 This allows the gripper to pick several products with one orientation, but releasing them at different positions and with different orientations and thus efficiently building a layer. The ability for the ZoneGripper to pick several products at once results in ability to cope with very short cycle-time requirements. 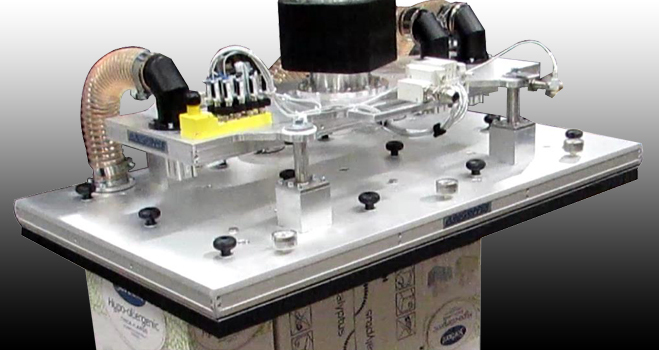 In addition, equipping the gripper with hooks for pallet handling and suction cups for slip-sheet handling results in a very efficient investment where one robot or gantry with one end effector can handle all tasks related to palletizing. 6 zone gripper equipped with side gripper to enable very fast cycle times. Equipped with Swibot and floating attachment for easy hose management and levelling. 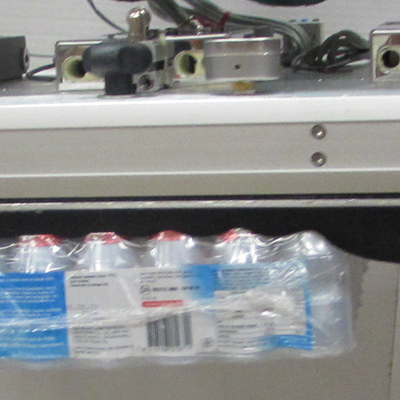 Gripper for shrink-wrapped beverages. Zoning created by individual ejector vacuum source per zone.